I’m originally from Nethy Bridge in the Highlands of Scotland, 25 minutes from Cairngorm Mountain, where I skied, race trained and took part in local and national ski races from a young age. Whilst studying at university in Scotland, my uncle, at that time a ski school director, instructor trainer and chairman of BASI, inspired me to begin training to become a ski instructor, and I qualified in 1994. I subsequently spent 10 winters teaching skiing part-time in Scotland whilst completing my university studies and whilst working professionally. 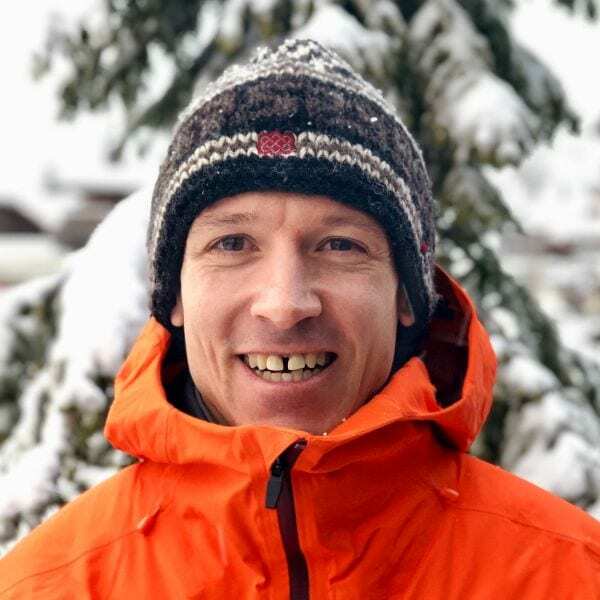 My professional career led me to working as a lecturer, researcher and degree programme director at the University of Edinburgh, following which I made the decision to return to the mountain environment and full-time ski instruction. I have since spent time training and furthering my qualifications in France, Austria and Switzerland, and teaching in Italy, New Zealand, and now here with New Generation in Verbier! Dedicate some time to strengthening your core and legs over several weeks before your holiday – it will make a big difference to your enjoyment and progress in skiing! Fancy a private lesson with Doug on your next holiday?